These are eye catching sapphires…why…..because of the velvety yellow color, clarity clean as a mountain stream, brilliant brilliance and finished with a beautiful cut. The romantic heart shape makes a perfect gift with a message and being a pair of untreated Burmese sapphires these would be ideal for earrings or a jewelry project. Weight is 1.08ct and .85ct. equals 1.93ct in total. These sapphires come with a copy of the independent lab identification / origin report. 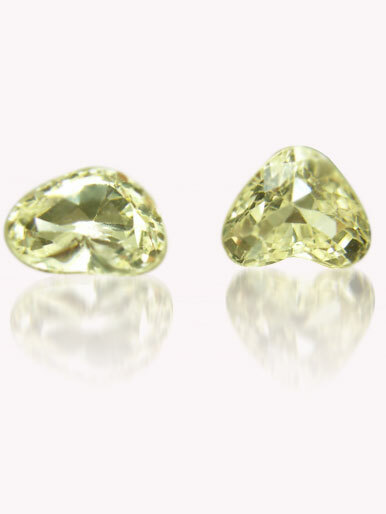 Yellow sapphire is a very helpful gemstone, often used to treat skin and eye disorders, and to ward off infection.